Review and provide legal advice and legal opinions on all aspects related to business and investment transactions and activities in Vietnam, from establishment of companies, representative offices, branches, taxation, property leases, employments, corporate organizational structures, commercial contracts, joint venture contracts to constructions and tenders. Draft and revise all types of documents, contracts and papers related to business and investment transactions and activities, including those in connection with corporate works and organizational structure, with consideration of providing legal analyses and recommendations on such documents in favor of clients’ rights, benefits and safety in transactions. 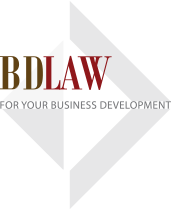 Review and provide legal solutions on clients’ proposed business and investment transactions towards safe, profitable and reliable in practice. Review and provide legal suggestions on re-structuring or adjusting clients’ proposed business and investment transactions and arrangements in Vietnam. Represent or assist clients in negotiation on papers, documents and contracts in business and investment transactions with their partners. Represent or assist clients in negotiation on papers, documents and contracts in clients’ business and investment transactions with state authorities in Vietnam. Assist or represent clients to complete administrative procedures for obtaining permits, approvals, licence required to clients’ business activities and projects in Vietnam.